Tamsin Kelly is a British Wheel of Yoga Teacher. Tamsin has been practising yoga for more than 20 years and teaching for since 2008. Her classes focus on increasing strength and flexibility in equal measure, improving posture, stamina and core stability. She teaches a style of Hatha Yoga which links breath and movement, integrating mind and body. Tamsin believes you’re never too young or old to benefit from yoga and her classes are suitable for all levels of fitness and ability, including beginners. She is also a qualified Yoga for Healthy Lower Backs teacher, a specialist 12-week yoga programme, clinically proven to reduce recurrence of low back pain. 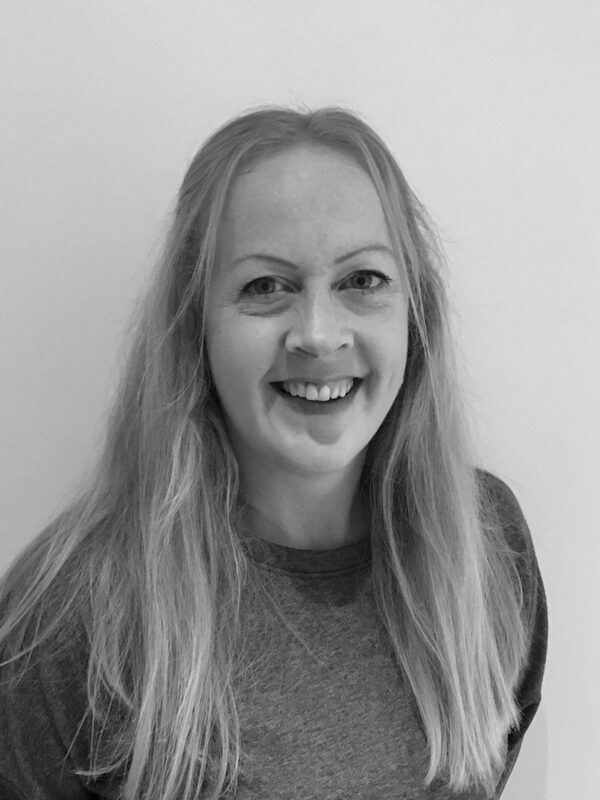 Tamsin is trained to teach children from 3 – 12 years and has taught children for many years, including those with learning difficulties such as autism. Tamsin is a REPS (Register of Exercise Professionals) Level III yoga instructor. She continues to study anatomy and yoga philosophy with her own teachers, Gary Carter and Michael Hutchinson. This style of yoga focuses on precision and the correct alignment of the body in the yoga poses. This ensures that they are safe, as well as effective in improving posture and increasing stamina and flexibility. Students will gain a greater awareness of their body, improve concentration and learn how to relax. Carolyn has been teaching at Studio Yoga since it first opened. Her classes are suitable for all levels from complete beginners to advanced yoga students. Carolyn gained her teaching qualification through the Iyengar Yoga Association. Jo is a Yoga Alliance certified teacher and trained with Anne-Marie Newland at Sun Power Yoga. She is a relaxed and conscientious teacher and this shows in her hands-on adjustments, explanations of poses and care spent on alignment, ensuring everyone feels happy and comfortable at all times – teaching us to have fun and move effortlessly through life’s challenges. Belinda discovered yoga more than ten years ago and is now training with the British Wheel of Yoga. She has practised Hatha, Iyengar, Ashtanga and Vinyasa flow yoga and her classes are designed to give a thorough grounding in the basics of yoga for beginners or anyone wanting to revisit the basic elements. Belinda believes the combination of breath and movement in yoga releases tension, increases mobility and improves mental clarity helping everyone to manage the many demands placed on them by everyday life. Kathryn trained with Anne-Marie Newland at Sun Power Yoga. She teaches Vinyasa flow yoga and uses asanas (postures) with a focus on alignment and strengthening the body. Her practice is grounded on using the breath, as this is what binds the physical and mental aspects of yoga together. Kathryn believes that yoga should speak to your heart and there is always room for fun and laughter in her classes. Kathryn lives in Stockbridge with her husband and two young children. She is passionate that yoga can be beneficial to any and all. Her classes focus on strengthening deep postural muscles for greater fitness and stamina, encouraging students to work towards greater flexibility, walk taller, enjoy a flatter tummy and keep joint or spinal problems under control. Classes aimed at beginners, improvers and intermediate classes cater for all abilities and are also suitable if recovering from injury. Martha trained as a Level 3 Matwork Pilates teacher with Body Control Pilates in 2017. Dani is a classically trained Ballet dancer, holding Advanced 1 and 2 certificates with the Royal Academy of Dance. Her love for dancing led her to explore Pilates, Barre and Yoga. Dani fell in love with Yoga too, and trained as a teacher on the Yoga Alliance 200hr Teacher Training with YogaLondon. In her Barre classes, she marries the grace and elegance of Ballet with the alignment and flow of Yoga to improve strength, posture, muscle tone, balance and stability. Repetitive, isometric exercises are supported by a Ballet barre and all choreographed to music. Her classes are lighthearted and fun – laughs and smiles encouraged! Dr Gail Loudon teaches Mindfulness-Based Stress Reduction (MBSR) and Mindfulness-Based Cognitive Therapy (MBCT). She qualified as a Medical Doctor in 1984 already with a strong sense of the connection between mind and body and the need for a holistic approach in her medical practice. She has worked as a GP and as an Elderly Care doctor in hospitals, which she continues to do. Gail is also qualified as a Medical Homeopath and a Reiki Master. She has practised mindfulness for five years and trained as a teacher with the Centre for Mindfulness Research and Practice (CMRP) attached to the Psychology Department of Bangor University. She continues to train with the CMRP to deepen her own practice and experience.